For every meal sold, someone in need gets access to food or clean water. That’s the principle of L’Effet Papillon, a company born out of Julie Bordier’s desire to merge her experience in catering and the nonprofit sector. 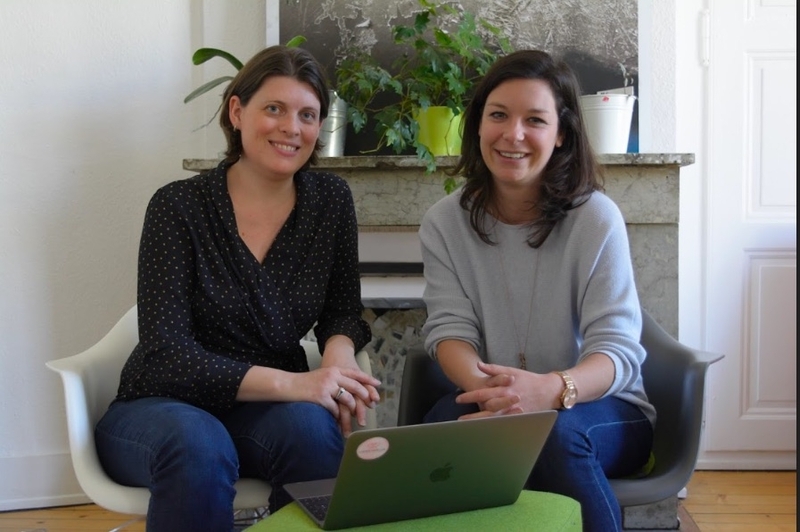 After meeting at Impact Hub Geneva, she and Marlou Dahmen, then freshly arrived from Holland, formed a friendship that turned into a partnership. Bonjour Geneva: L'Effet Papillon is a fascinating concept, can you tell us about it? Julie: L’Effet Papillon is a philanthropic caterer. Our goal is to use our profits in order to provide nutritional help and access to drinking water to people in need in Switzerland and all over the world. And in fact, our customers are the philanthropists, as they decide which solidarity project they want to support! When you purchase a meal with us, you choose a project between three pre-selected ones and we will donate the profit of your meal to this project! The aim is to change our projects every six months, so we can support as many projects as possible. BG: Wow! It's a bold idea. And this is the first experience, for both of you, as entrepreneurs, right? BG: Where did you look for support for starting a business? Julie: Family, friends, everybody is very supportive, and that's very encouraging, because of course when you start your entrepreneurial path, you will experience ups and downs. But, so far, every time I'm stuck with something or when I need help, it's kind of magical, but the person I am looking for appears in my life. You know, there is a theory that you attract what you need at a certain moment in time, and I do believe in it! BG: Catering is considered as a high-risk business that has specific challenges. How do you deal with that? Julie: The reason why catering has a very bad reputation is that a lot of people step into the business without knowing the first thing about it. People think it will be a lot of fun when they start cooking for their friends and get a lot of compliments, but they often underestimate the challenges that come along with the profession. You work long hours, you are standing on your feet all day... You have to serve customers, and they can be great, but sometimes also very demanding. Running a business like this means you have to be very careful with your costs, and also smart with stocking and purchase, to prevent food loss. Marlou: In a food business like this, you will always have competitors. Also, running your own business means that you have to be creative and try to think of solutions instead of problems when something happens. Julie: Just like for any other entrepreneur, you have to know that plan A will never happen. Plan A is good, but you'll eventually end up at Plan P or something. So, I would say: have a lot of plans! The reality of the market is that the customers may not want what you expected. BG: What stands out to me is that even if you end up at Plan P, you always have clarity about your concept. Julie: Yes. That was pretty clear from the start. People were challenging me about very small details about my organization but I had thought about all of them. Marlou: People come to you with a million ideas, and if you don’t have a clear idea of what you want from them, you may get lost. In the beginning, you want to grow very fast, but you can’t get help from anyone. You have to choose, and you can only make the right decisions if you know which direction you are heading. As your business grows, you’re constantly adapting. But in the end, there are no rules, sometimes you just have to go for it! Julie: You never really know if what you are doing is 100% right, and there are a lot of choices that you have to make when you start your own business. You don't know if it's going to be a good choice or a bad one, but as someone once told me, the worst choice is to make no choice at all! More info: L'Effet Papillon on Facebook and Instagram.